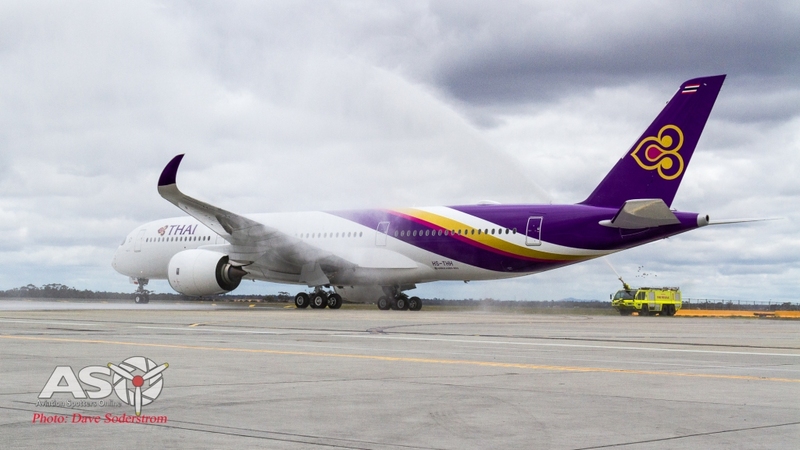 October 1st at approximately 1:03pm HS-THH touched down on its 1st visit and 1st international revenue service for Thai Airways. 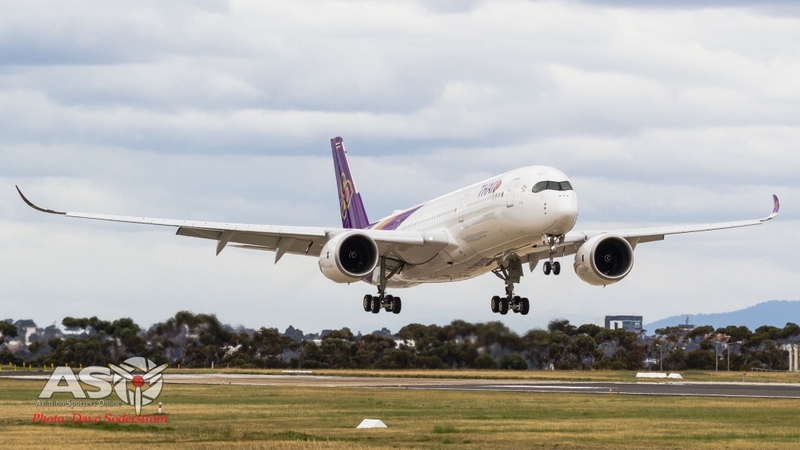 Thus becoming the third operator of the new generation Airbus A350 into Melbourne’s Tullamarine Airport. 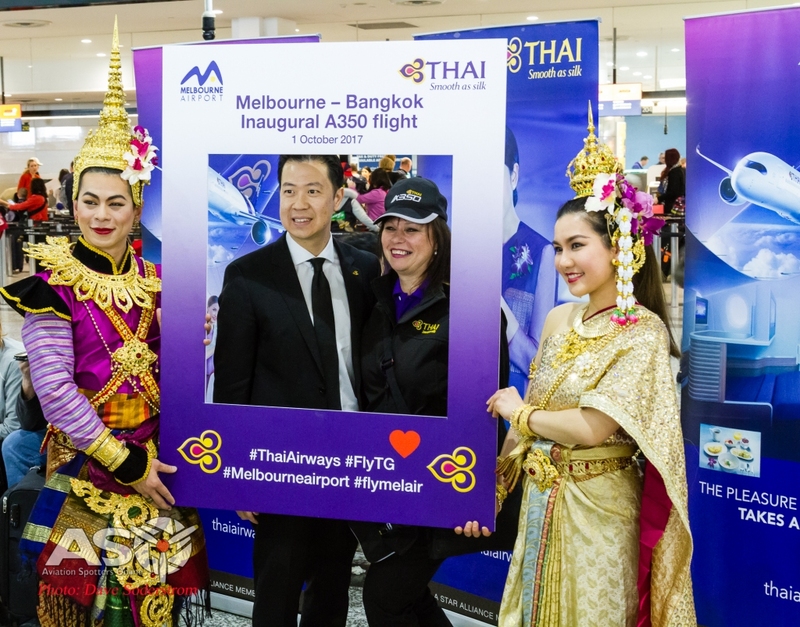 While Singapore Airlines was the first to operate to the airport, Thai’s Airbus A350 service will be a permanent feature as the airline replaces the Boeing 777 services of TG465 and TG 466 between Melbourne-Bangkok return. 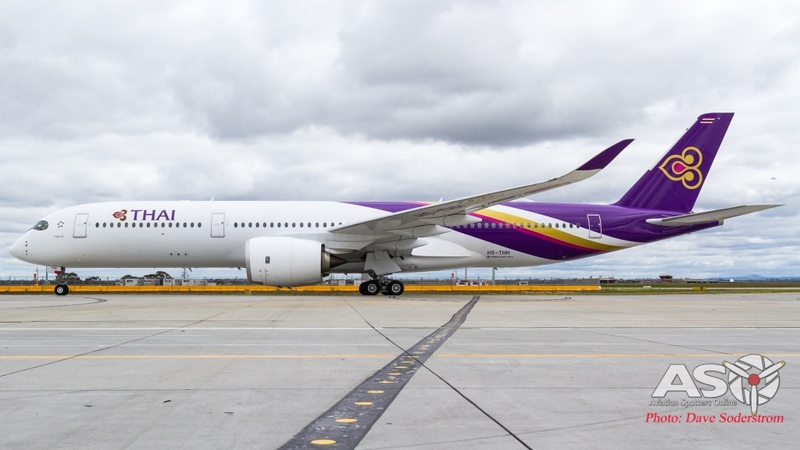 Thai Airways received their first Airbus A350 on August 31st 2016, with the first aircraft HS-THB an A350-941 touched down at Suvarnabhumi Airport in Bangkok, Thailand to a large welcome party and ceremony. 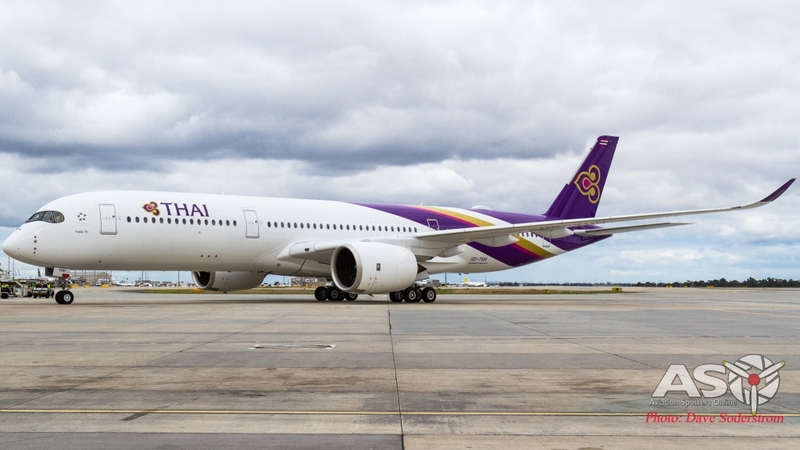 Thai has ordered 12 Airbus A350 XWB aircraft, with four firm orders and eight aircraft leases. 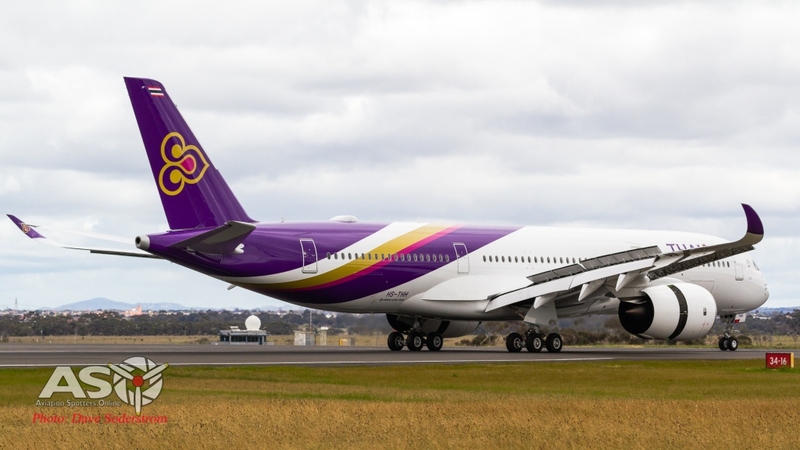 The aircraft was Royally bestowed the name “Wichian Buri”, which is a district in southern part of Phetchabun Province, northern Thailand. TG456 touches down for the first time at Melbourne International Airport. HS-THH slows down after landing on runway 27. Airbus designed the A350 around modern technology. Some seventy percent of the A350 XWB is made of weight-efficient technology using advanced composite materials such as titanium and advanced aluminium as well as an all-new Carbon Fiber Reinforced Plastic fuselage which results in a considerably lower fuel burn as well as less required maintenance. 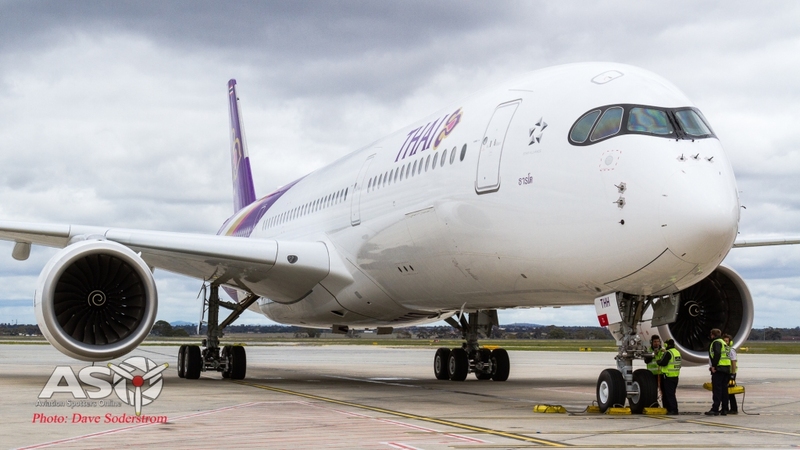 The Airbus A350 is a great looking plane and looks fantastic in the Thai Airways livery. HS-THH receives the traditional water cannon salute, from Melbourne Fire Services. Touching down as TG465 from Bangkok the aircraft made its way to gate D14 where the passengers disembarked. 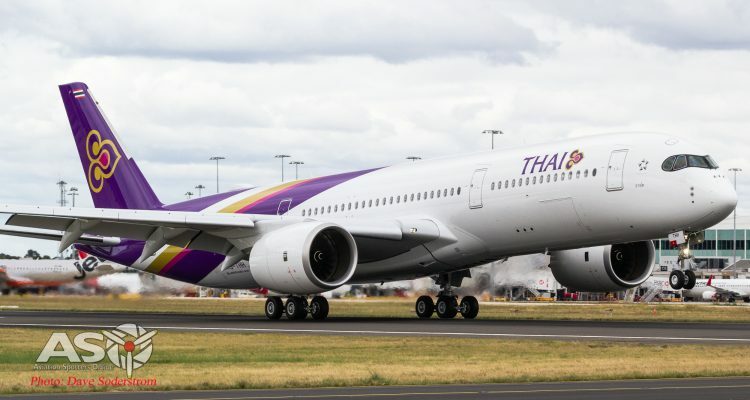 Thai Airways plan as more airframes arrive to increase their A350 services to Melbourne and Sydney. “THAN TO” pulls into the arrival gate. HS-THH is one of 12 the airline will receive. 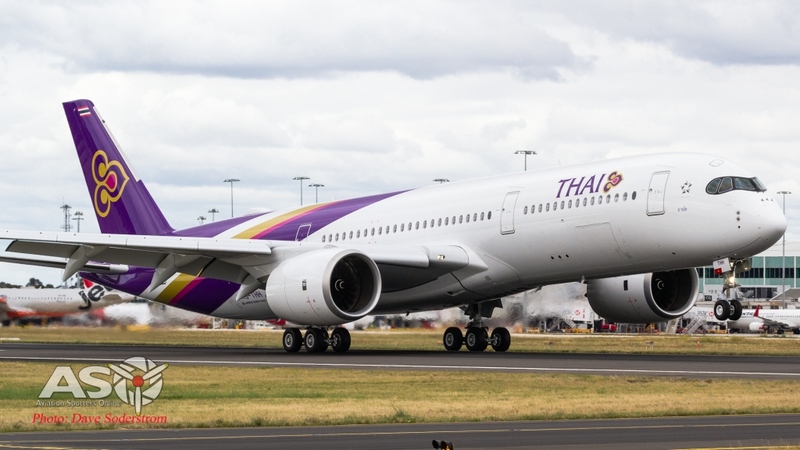 Thai put on a special greeting for passengers flying the return leg on as TG466 to Bangkok. 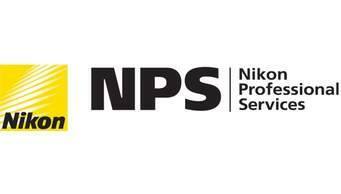 Aviation Spotters Online wishes to thank Melbourne Airport again for their assistance in the preparation of this article.